Porsche has announced that drivers who purchase a new Taycan all-electric sports car will get three years of free charging thrown in for free. The deal is for an unlimited number of 30-minute charging sessions at Electrify America charging stations. The promotion is only valid in the United States. This charging benefit will be included in the price of a new Taycan, which is not yet known. Much like we have seen Tesla do in America, Porsche dealers in the US will install their own fast-charge kiosks too. You can also have a charging station installed at your home. The German car manufacturer hopes that a combination of these three ways to charge will provide a comprehensive power network for the Taycan when it launches late this year. Refueling is done via DC fast charging at rates of up to 350 kilowatts. Using 800-volt technology and the combined charging system (CCS) plug, the Taycan will be able to add more than 60 miles of range in four minutes. If this promise is delivered, the Porsche charger will be the fastest in today’s automotive market. Electrify Ameria currently has more 300 highway stations in 42 states as well as 180 sites in 17 metro areas. Each location will have between five and 10 individual charging dispensers. The highway stations will be spaced along multiple routes and no more than 120 miles from each other. All of Porsche's 191 US dealerships will install DC fast charging stations, with more than 120 of those offering the Porsche Turbo Charging - the company's 320 kW system that uses a CCS plug - whilst the rest will have 50 kW chargers. Porsche says that the total cost of this charging infrastructure investment is around $70 million. 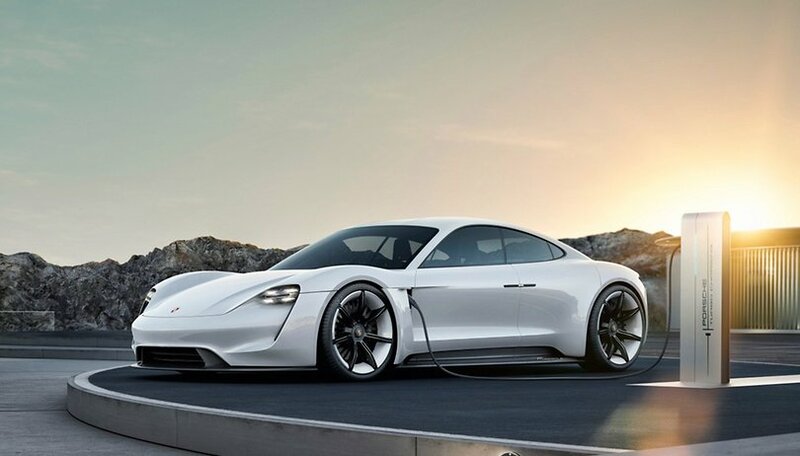 Klaus Zellmer, President and CEO of Porsche Cars North America, said: “Together, Electrify America and our Porsche dealer network will provide a national infrastructure for DC fast charging that frees future Taycan owners from range anxiety. And Porsche home charging technology will turn the customer’s garage into the equivalent of a personal gas station." We still don't have any pricing information for the Porsche Taycan, but word on the street is that it is going to cost at least $75,000 at launch, with some models going up to $130,000 with premium extras. What do you think about the deal for three years of free charging? Are you tempted to buy one? Say you are traveling. Who wants to wait 30 minutes, to "fill up". What the hell as this got to do with smartphones? ?